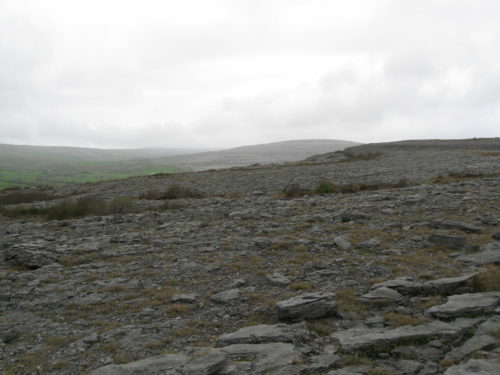 …but further inland is the moon-like landscape of The Burren. From a distance the bare rock looks barren, but up close, you can see that is not the case. …while the gaps between the slabs of rock provide a sheltered damp environment suited to mosses and ferns. 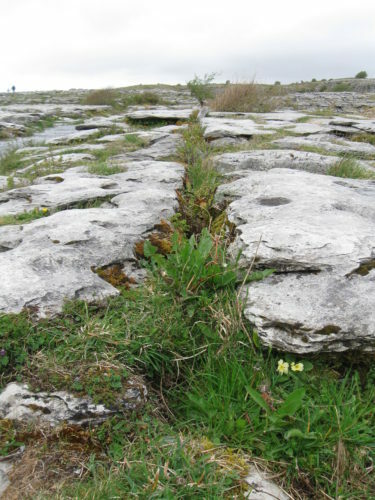 In fact 70% of Ireland’s native plant species can be found in The Burren, with the unique environment providing conditions for Arctic, Alpine and Mediterranean species all within the area. And so many different plants means many different animals can thrive too, particularly butterflies. 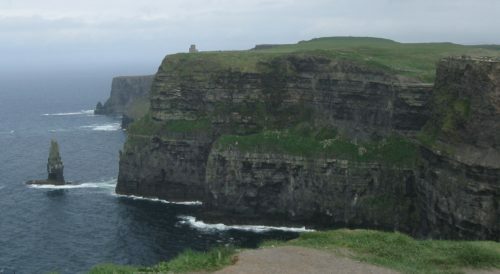 The area is within the Geopark and is also a National Park. Careful management conserves the landscape but at the same time encourages visitors, so that local businesses benefit from tourism. Money from the tourist industry can be used for conservation. Local people can make money by providing places to stay and entertainment. Tourists like to experience the local culture which helps to keep traditions alive. This is ecotourism. 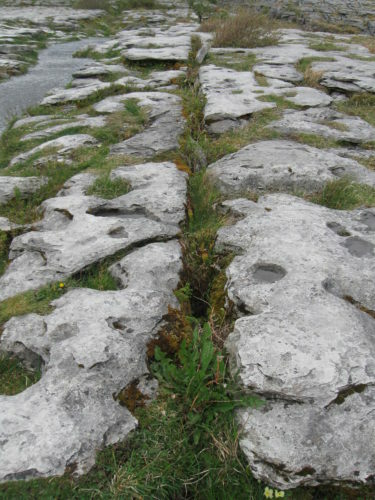 The people who live in The Burren make the landscape what it is. The tree cutting activities of early settlers, causing soil to be lost, was at least in part responsible for creating the bare rock look. And it is human activity that maintains the landscape today. 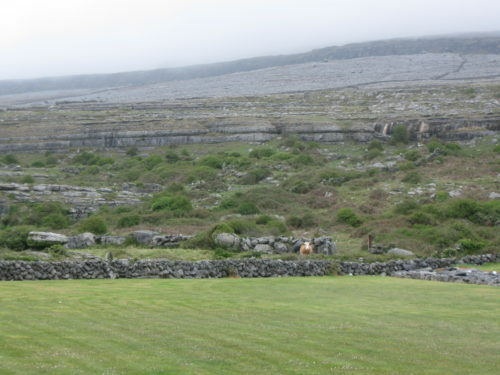 The farming practice of winterage involves allowing cattle and sheep to graze the rocky landscape through the winter. 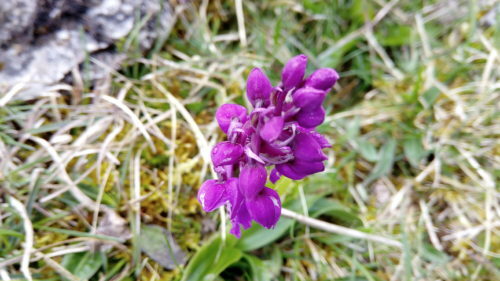 This ensures that The Burren doesn’t become overrun with bushy scrub and, by removing the animals again in the spring, the wildflowers don’t get eaten. Join me again next Wednesday for a more detailed look at the features of this intriguing landscape.